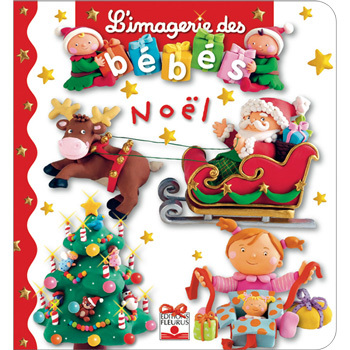 L'Imagerie des Bébés - Noël is a gorgeous padded board book for babies in French. The beautiful illustrations using soft clay models will delight young children. Written entirely in French, this book has been developed especially for the very young. It introduces the vocabulary for different 'Christmas' themes through either simple sentences, e.g. Le Père Noël passe par la cheminée, or simple descriptions. L'Imagerie des Bébés - Noël is written entirely in French as it is aimed at native French speakers. The language is fairly simple as it is aimed at young children.